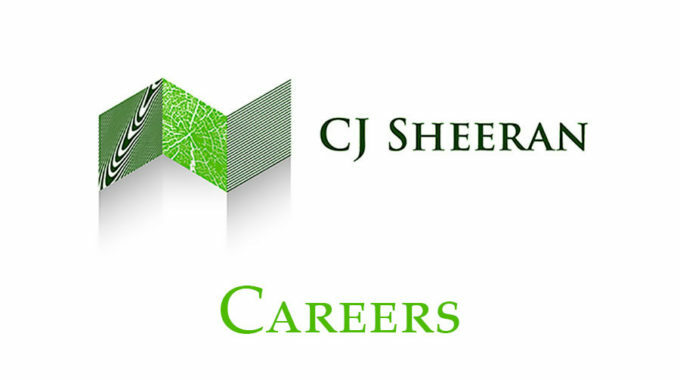 The Role: CJ Sheeran is Ireland’s largest manufacturer and recycler of timber packaging and pallets, providing a premium quality, sustainable and accredited packaging solution to Ireland and the UK’s diverse network of pallet consumers. We are currently undergoing exceptional growth and now have an opening for a Logistics Co-Ordinator to join our busy Logistics Division. Co-ordination of tasks amongst production, warehouse and logistics teams. Efficient co-ordination of daily deliveries and collections utilsing own fleet and external contracts to arrange transport at best cost. Liaising with customers on order status and delivery times. Effective sales order forecasting and scheduling. Building and maintaining first class relationships with customers and internal teams. Actively establishing and managing all relevant Key Performance Indicators to optimise value. Effective interface with colleagues to ensure a cohesive approach towards maximising business performance. Other adhoc administrative duties including RSA reporting requirements. Primary Qualification in Business, Logistics or Sales related discipline desirable. Strong commercial awareness of business dynamics. Ability to work under pressure, multi-task and meet deadlines. Proficient in MS Office and experience in Sage Line 50 advantageous. Excellent administrative, organisational and time management skills. An excellent opportunity to join a progressive and dynamic company undergoing exceptional growth. CJS are also a leading manufacturer of garden, farm and equine timber product which include premium quality timber gates, fencing, garden furniture, landscape woodmulch and the very popular ComfyBed® Equine Bedding. Salary commensurate with experience. Please submit CV FAO James Ryan, Logistics Manager to pallets@cjs.ie or by post to: CJ Sheeran Limited, Shannon Street, Mountrath, Co. Laois, R32 RRx8.